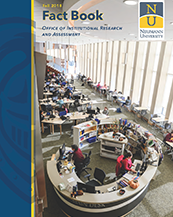 The Office of Institutional Research and Assessment (OIRA) provides information that supports and strengthens the decision-making and planning processes for the administration of Neumann University. The OIRA is the official data and information source for the University, which includes coordination of data collection to support internal and external reporting as well as compliance with governing and accrediting bodies. In collaboration with the Office of Academic Affairs, the OIRA oversees the IDEA Student Course Evaluation system and Program Assessment schedule. Our goal is to support informed decision-making throughout the University, independent and in partnership with other campus constituencies. We do this by collaboratively collecting, analyzing and presenting the appropriate, critical data regarding the processes and programs that support the Mission, Vision, and Values of Neumann University.